A handcrafted juniper keychain is a perfect gift and souvenir. In addition to the smooth design it also smells great. 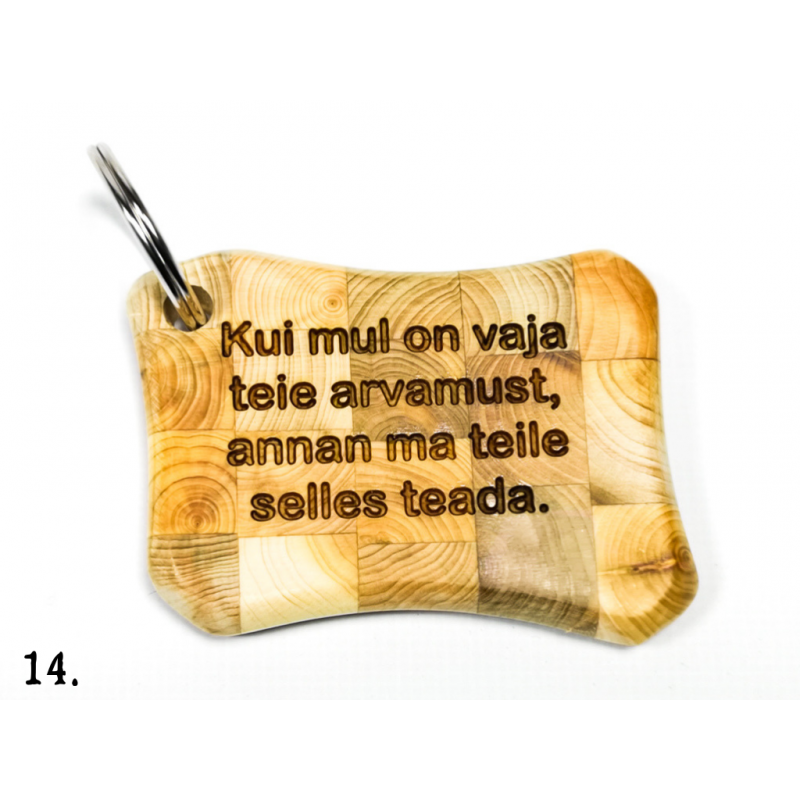 The keychain is made more special by an engravement with a bit of humour or wisdom. PS! The shapes of the keychains may vary because they are handcrafted. 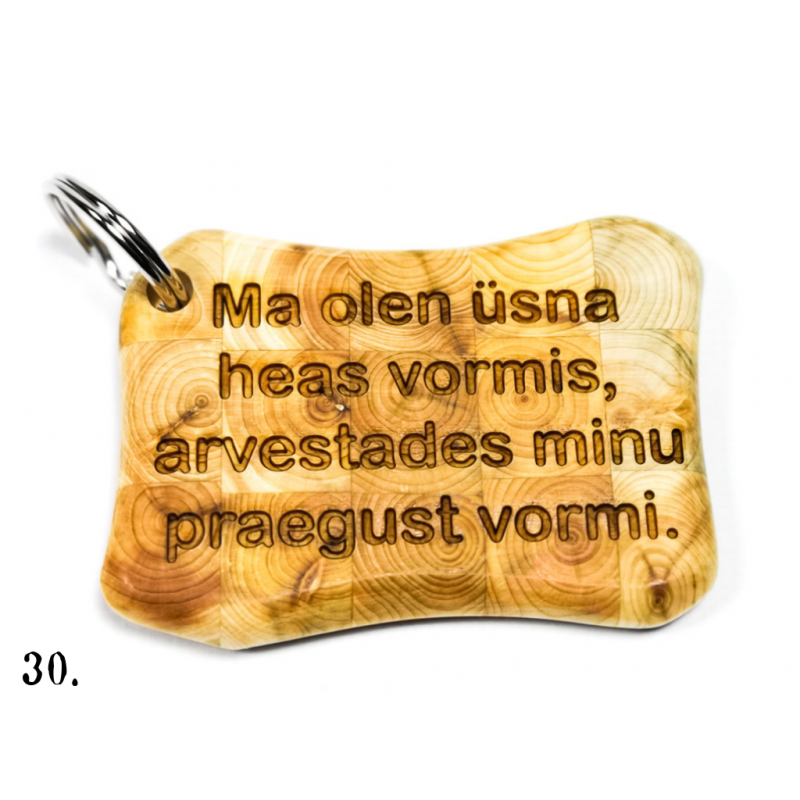 To get a keychain with the text you want, please add the number and text of the keychain to your order.